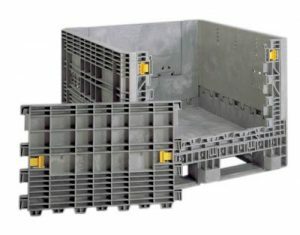 Buckhorn Storage Solutions vs conventional Wooden Pallets. Xytex 4840. There is no other container on the market as versatile as the Xytec 4840 fully reusable collapsible container. Strong, sturdy base which is more resistant to damage. Folds down in seconds. 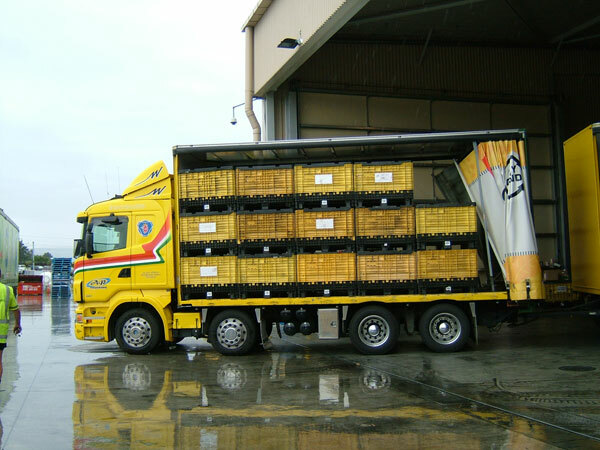 Cubes out trucks in N.Z. 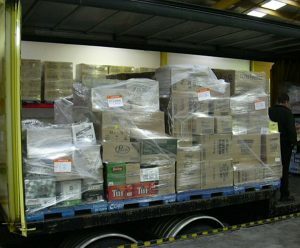 so 85% of usable space in the curtain sider can be used. 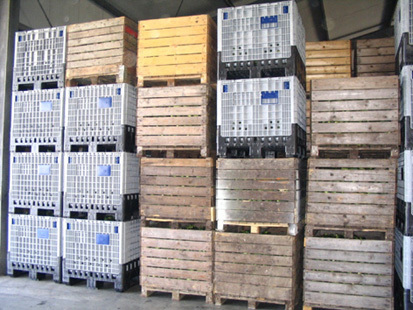 Industry normal used space on average is approximately is 55-60% with blister packed pallets. 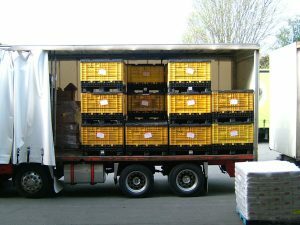 Extremely safe loads due to interlocking of bins when stacked on top of each other. 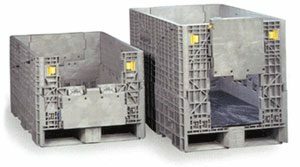 Our foldable plastic bins are available in several sizes to suit different industries. Foldable pallet bins also offer different access doors, for light goods where staff are easily able to fill or empty the bin. 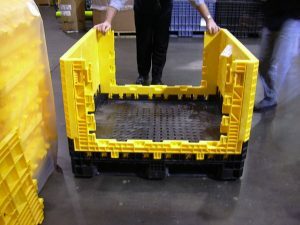 Foldable pallet bins that are used for heavier products, for example in grocery distribution, a bin with removable panels is preferred so staff are not injured in lifting heavier products. This is a serious health and safety consideration. 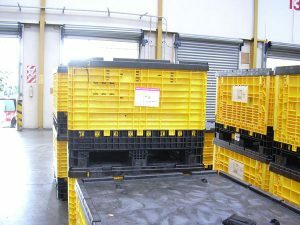 Foldable Pallet Bins are the safest option when stacking full or empty. 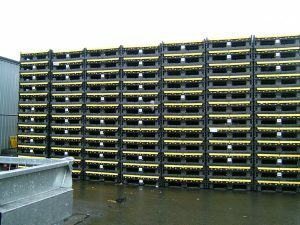 The interlocking of each bin when stacked, erected or collapsed offers safety that you cannot get with pallets alone. Conventional loading of trailers can lead to a lot of wasted storage space.Costing your company literally thousands of dollars in hauling fee’s ,time and effort. 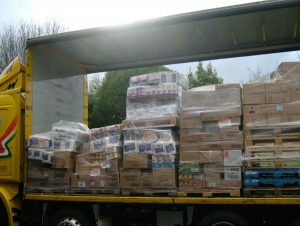 40% of this Trailers total capacity is wasted due to the limitations and restrictions of conventional loading regulations. zorex can provide a better solution to reduce costs as well as provide better solutions for your company. 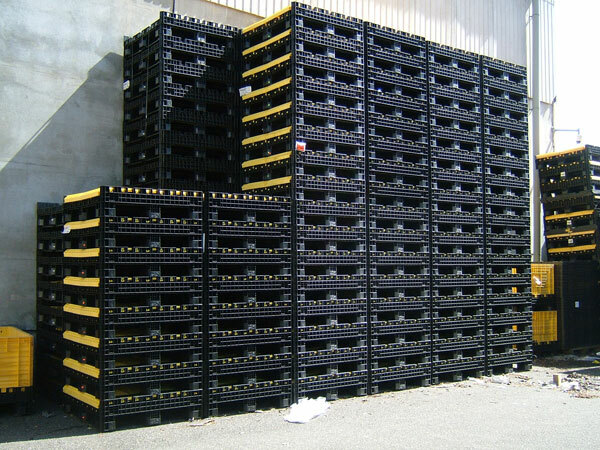 Buckhorn Collapsible Pallets maybe the solution you are looking for. A notable difference in this trailers fulfilment compared to the conventional methods depicted to the (left). more efficient capacity , easier to load , stack-able , re-usable and durable. Buckhorn Storage solutions are a must for any company wishing to maximise output and minimise cost. Buckhorn collapsible pellets are very easy to assemble. Assembled and packed in no time at all.Better faster production = less stress and business expenses. 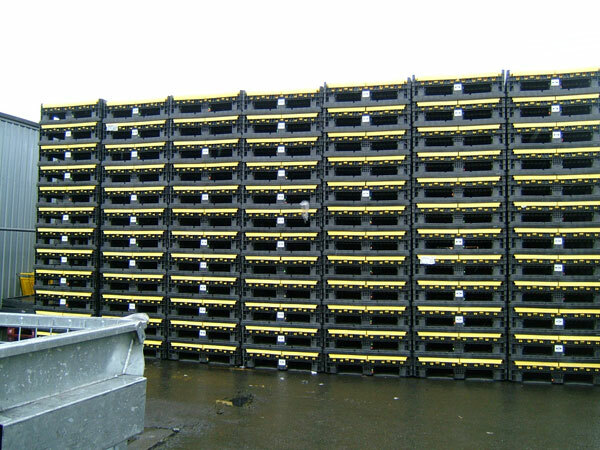 Being Collapsible ,Buckhorn Pallets use the same amount of storage space as conventional wooden pallets. They also look more appealing then the old untreated wooden pallets. Buckhorn Storage Solutions. what more do you need?.